Sometimes you want to wear a tie even when you don’t have to. 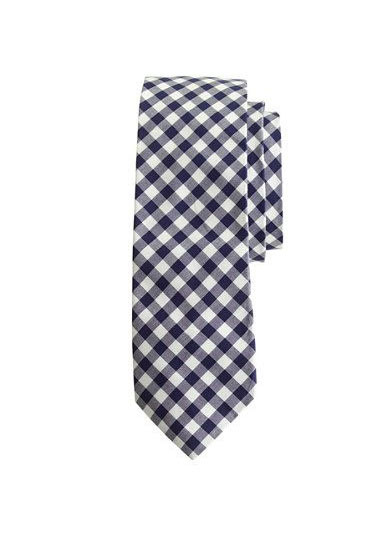 This one sports a classic pattern that’s been a wardrobe staple for generations (there’s a reason gingham almost always works) and instantly elevates just about anything else you’re wearing. 2 1/2″ at widest point.